Professional remodeling results. Major projects - little projects. All types of service finished quick. Pleasant and careful technicians. Get a free quote. They're flexible. Economical. You are certain to like the finished work. Interested in having someone install some new walls or ceiling at your place? Maybe you have an area you need to paint, but you need the walls fixed first. Talk with dependable drywall installers. Many of their jobs are in the home improvement category. But they also undertake small home repairs and new construction too. Lots of their work requests are for repairs. 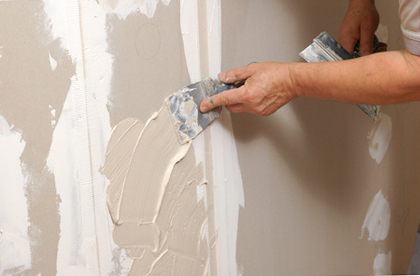 A lot of projects, like swapping moisture damaged sheetrock, are somewhat extensive; other assignments may involve just patching a dent or two. 1. The order of drywall sheets is brought to the work site. 2. The sheets are put up on the walls and ceiling. 3. The project trash and unused material is taken away, and the work area is cleaned up. 4. The joint seams between sheets and anchoring screws are taped and covered up with joint compound. Once the surfaces are finished, they’re available for painting. If you need them to work on only one or two of the steps, instead of completing the full project, they will arrange to do that. For example, if you wish, they can just install the sheetrock to the ceiling and walls and allow you to finish the job by yourself. Some property owners have areas where the sheetrock is already on the walls, so they want somebody who can finish the process. Apart from typical drywall products, they can also deliver and install special boards which are intended for use in high moisture rooms such as bathrooms or walls which will eventually need to support heavy tile. Dents and holes get made in walls every day. And frequently by the oddest circumstances. Yes, we’ve heard all the stories. If your property problem is limited to only one hole in a wall, there is a chance you can try to mend it on your own. Every hardware store carries a kit for patching drywall. A lot of the wall patches which property owners apply will not turn out looking too great. It normally takes some practice to figure out how to apply one correctly. A hole in a really noticeable area of your house should most likely be dealt with by somebody who has experience doing those types of repairs. One of the more difficult elements of this process can be to build the surface texture of the latest materials so it seems similar to the existing material. Patching or fixing a simple hole or crack. Making one or more unattractive or broken interior walls or ceiling restored and ready for painting. Eliminating and upgrading sections of ruined sheetrock. Undertaking large scale removal and replacement of an entire room or more. No matter if your repairs are large or small, they hope they could give you a hand with it. Totally unfinished surface – just taped, meant for unfinished work or storage spaces or garages. Basic texture – can bring some extra dimension. Texture match – make your new materials match up with your existing ones. Many homeowners are tired of the popcorn ceiling texture. Find someone who knows how to get rid of it and put on a more contemporary looking surface. Talk with a local CA home improvement company. They do their best to supply good project results at a good price. They make use of the latest tools and equipment to get your project finished right. And all the materials they install at your renovation project are good quality. 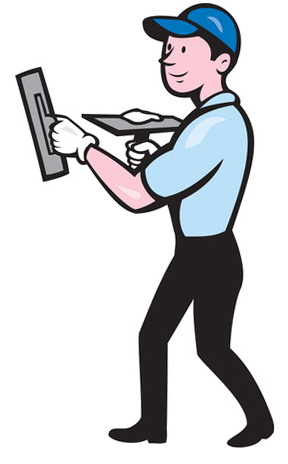 Their workers are tidy and respectful of your home. They attempt to guard your possessions from dust or mess. Many projects create some junk, but they bag up and haul away all the junk they created, plus any unused material. Over the years, they have finished all kinds of projects. They have performed repairs in houses of all types, apartment buildings, industrial and retail sites. They work directly with homeowners, contractors, investors and commercial property managers. The end price is mostly determined by how much material is needed and how long it takes to install and finish it. The ideal way to give a reasonable estimate is in person, but that usually isn’t possible. The second best way is by making a short call. They could work to have your new or repaired walls and ceiling painted too. They could do that if you’d like them to. If you would rather take care of it yourself, or arrange a different painting contractor get it done, that is okay with them too. You can regularly find them working in downtown Sacramento, Old Sacramento, Alkali Flats, Boulevard Park, McKinley Village, Mansion Flats, Midtown, Orangevale, Richmond Grove, Richards and Southside Park, especially the 95814, 95811 and 95816 zip codes. The service area also includes all the suburbs too – Arden and Arcade, Carmichael, Citrus Heights, Davis, Elk Grove, East Sacramento, Fair Oaks, Florin, Folsom, Land Park, Meadowview, North Sacramento, North Highlands, Parkway, Rancho Cordova, Rosemont, Roseville, Robla, West Sacramento and Woodland. If your property is near downtown – Alkali Flats, Old Sacramento, Boulevard Park, McKinley Village, Midtown, Mansion Flats, Orangevale, Richmond Grove, Southside Park, Richards and the 95814, 95811 and 95816 zips – they can help.